There are two unique evolutionary characteristics in human childhood. First, human children take a longer time to acquire the physical and reproductive capacity of adults, compared with closely related primate species like the chimpanzee. Second, food provisioning from older individuals after the end of weaning is essential for the survival and health of human children. Food provisioning to the immature post-weaning individual has never be seen in non-human wild primates. Food provisioning to post-weaning children enabled relatively higher fertility and lower mortality in humans. Although the cost of breastfeeding was mainly taken by mothers, food provisioning to post-weaning children can be done by others. The burden of childcare disperses from mothers to other members of the population by food provisioning. Children are inferior in food acquisition, and provisioned foods benefit their survival and health, especially if they are diseased or injured. These features of food provisioning enable a mother’s time and energy to concentrate more on future offspring and thus support higher fertility rates without increasing the mortality rates of offspring. Childhood diet includes foods obtained by self-acquisition, as well as provisioning. Children mostly adopt alternative foraging strategies and obtain different foods than adults, because of their immature skills and physical strength. Also, the type of food provisioned possibly differs with culture and environment of the human populations. However, human diet in post-weaning childhood has rarely been studied cross-culturally. In this study, post-weaning childhood diet was investigated in diverse human populations in past by using published data of stable isotope analysis. Carbon and nitrogen stable isotopes are the natural tracers of food source. Dietary difference between the children and adults in the same population can be reconstructed by comparing the stable carbon and nitrogen isotope ratios of skeletons from the archaeological site. Diets of the post-weaning children and adults are generally similar. This result is consistent with the evolutionary characteristics of food provisioning to children in humans. But in non-hunter-gatherer (agricultural and urban) populations, post-weaning children probably consumed a slightly larger proportion of plant foods than the adults in the same population. Clarification of detailed causes and consequences of this slight dietary differences in non-hunter-gatherer human populations awaits for future study because the limited sample size and information in the archaeological dataset prevent further investigation. However, cultural beliefs and behavioral and physiological characteristics of human post-weaning children would be related. 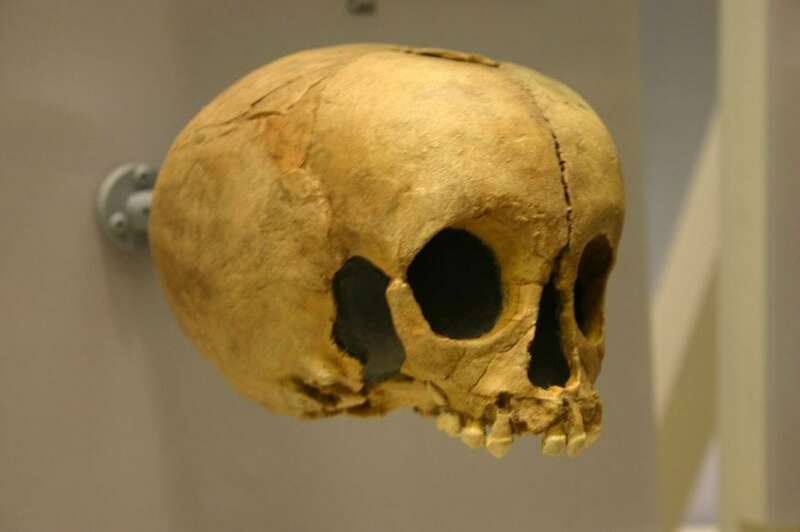 This study, Post-weaning diet in archaeological human populations: A meta-analysis of carbon and nitrogen stable isotope ratios of child skeletons was recently published in the American Journal of Physical Anthropology. Takumi Tsutaya is a postdoctoral researcher from Kyoto University. His main areas of research are: Biological anthropology, Stable isotope ecology, Primatology, Human evolution, Statistics, and Ancient biomolecules. He received his Ph.D. from the University of Tokyo in 2015.